References to “Company,” “we” or “us” in this document mean Bobiliah LLC d/b/a Boop My Nose and its affiliates, subsidiaries, and divisions. If you are unwilling to accept these Terms & Conditions, we ask that you do not use the Site. When you use the Site, you agree to be bound by the then current Terms & Conditions. If you do not agree to be bound by the Terms & Conditions, your sole remedy is not to use this Site. Each time you use this Site, you should visit and review the Terms & Conditions. We reserve the right to occasionally update the Terms & Conditions. At such time, we will also revise the “last updated” date at the end of the Terms & Conditions. For material changes to this Terms & Conditions, we will notify you by placing a prominent notice on the Site. This Site primarily displays closeup pictures of pets. This Site allows users to submit their own media. Every picture displayed is submitted by the respective owner. Copyright © 2015-2017 Bobiliah LLC d/b/a Boop My Nose. 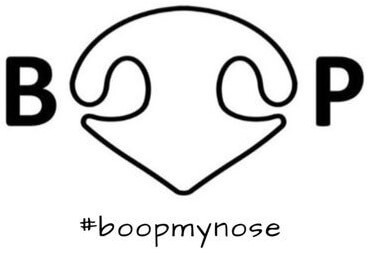 For further information regarding permission to use material from the Site, please contact us at info@boopmynose.com. You agree not to display or otherwise inappropriately use the Marks without prior written permission from us. Please make such requests by email to info@boopmynose.com. We will evaluate your request and respond as soon as possible. Any action based on a breach of any provision of these Terms & Conditions shall be brought to the federal or local courts presiding in Florida, United States, whichever is appropriate, and to whose jurisdiction you consent in such an action. If a breach is found by the court, the court shall have the right to issue an injunction, and grant to Company its damages and attorneys’ fees and such other and further relief as the court may deem appropriate. The Site shall be governed by the laws of the United States, including federal copyright and trademark laws, and the laws of the State of Florida applicable to contracts entered into and to be wholly performed therein without regard to conflict of laws or choice of law principles. By visiting and using the Site, you consent to the jurisdiction of the courts presiding in Florida and you agree to accept service of process by mail. You hereby waive any and all jurisdictional and venue defenses that might otherwise be available. This Terms & Conditions was last updated on March 9, 2017.